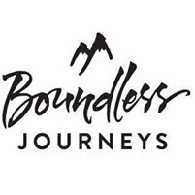 All Boundless Journeys tours, river cruises, expedition cruises, and adventure trips. Find the best guided trips and expert planned vacation and holiday packages. Average rating of 4.6 for all Boundless Journeys trips. Visit the mountain resort town of Chamonix, France and enjoy walking around this quaint town. Hike with moderate elevation gain and excellent views of the Zinalrothorn, the Matterhorn, and the Dent Blanche. Hike through the Búrfellsgja Canyon, and behind Seljalandsfoss falls. Follow a trail to the oldest swimming pool in Iceland for a rejuvenating soak. Hike along Skóga River, past Skógafoss falls. Afternoon glacier exploration, or optional snowmobile adventure (at additional expense). Evening optional horseback riding (at additional expense). Visit the Skógar Folk Museum. Explore the desert-like landscape surrounding Hjörleifshöfði, and walk through scenic Fjaðrágljúfur Canyon. Explore an iceberg-filled lagoon by boat. June through mid-August, ride a farm tractor to our trail head to hike past puffin nesting sites along the Atlantic. Embark on an overland expedition through the fjallabak, or “route behind the mountains”, explore colorful rhyolite mountains, volcanic craters, and idyllic waterfalls. Visit Geysir and Gullfoss, two of Iceland’s best-known natural wonders, and Thingviller, home to Iceland’s first parliament. Learn about Iceland’s troll legends over lunch. Explore Snaefellsnes Peninsula, walking along the coast between fishing villages, and perhaps visiting a traditional shark museum.